Glazed with 6mm Glass-Clear Plate Polycarbonate. Roof Pitch: 5 - 20 degrees. Structural grade T6 Aluminium Alloy Frame. Powder-coated Matt Anthracite Grey, RAL7016. Projection from wall: 1,497mm(at 20 degrees) - 1,581mm (at 5 degrees). As well as Anthracite Grey Omega Verandah with 6mm Glass-Clear Plate Polycarbonate • Verandah - 1.5m Projection (AG, 6) Omega Build supply a range of roofing components such as roof lanterns, roof domes, diy conservatory roof kits, polycarbonate roofing sheets, polycarbonate canopy kits, door canopy kits and much more. 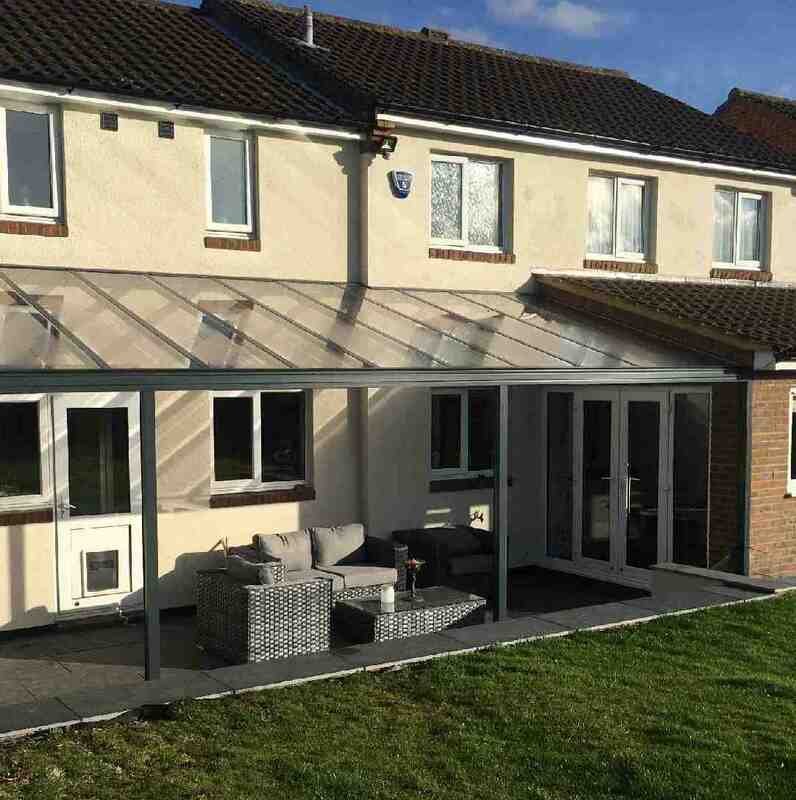 I would recommend your affordable products (Anthracite Grey Omega Verandah with 6mm Glass-Clear Plate Polycarbonate | Verandah - 1.5m Projection (AG, 6)) to anyone else considering this product, as it has been superb. Omega Build Shop | Anthracite Grey Omega Verandah with 6mm Glass-Clear Plate Polycarbonate | Verandah - 1.5m Projection (AG, 6). You are viewing Anthracite Grey Omega Verandah with 6mm Glass-Clear Plate Polycarbonate | Verandah - 1.5m Projection (AG, 6), buy online today!